cosmologic concepts in the iconographic design of Han mural paintings. A thorough analysis of the iconographic design of murals shows that they possessed not only a decorative function, but together with the architectural structure and other burial objects reflected the entire cosmic image. The analysis of tomb paintings reveals a developed correlative cosmology yin-yang wuxing which manifests its concrete image in symbolic codes of individual iconographic motifs. The article first displays a general review of tombs with murals, and then focuses on depictions in Han tomb murals, discussing representation of the images of celestial bodies, the symbolic polarity of the cosmical forces yin and yang, the symbolism of the four directions and the four seasons and the symbolic circling of the five xings. Nataša Vampelj Suhadolnik is Assistant Professor of Chinese Art History and Deputy Head of the Department of Asian and African Studies at the Faculty of Arts, University of Ljubljana, Aškerčeva 2, SI-1000 Ljubljana, Slovenia. Chen Meidong 陳美東. 2003. Zhonguo kexue jishu shi: Tianwenxue 中國科學技術史: 天文學 (The History of Chinese Science and Technology: Astronomy). Beijing: Kexue chuban she. Fang Xuanling 房玄齡. 1998: Jinshu 晋書 (History of the Jin Dynasty). Beijing: zhonghua shuju. Feng Shi 馮時. 2001. Zhongguo tianwen kaoguxue 中國天文考古學 (Chinese Archaeoastronomy). Beijing: Shehui kexue wenxian chuban she. Greiff, Susanne, and Yin Shenping. 2002. Das Grab des Bin Wang, Wandmalere in der Östlichen Han - Zeit in China. Mainz: Römisch-Germanischen Zentralmuseums. He Xilin 賀西林. 2002. Gumu danqing: Handai mushi bihua de faxian yu yanjiu 古墓丹青: 漢代墓室壁畫的發現與研究 (Painting in Ancient Graves: Discoveries and Studies of Han Dynasty Tomb Murals). Xi’an: Shanxi renmin meishu chuban she (1st edition 2001). He Ning 何寧, ed. 1998. Huainanzi jishi 淮南子集釋 (Huainanzi and Collected Commentaries). 3 vols. of Xinbian Zhuzi jicheng 新編諸子集成. Beijing: Zhonghua shuju. Huang Minglan 黄明蘭, and Guo Yinqiang 郭引强. 1996. Luoyang Han mu bihua 洛陽漢墓壁畫 (Mural Paintings in Luoyang). Beijing: Wenwu chuban she. Huang Xiaofen 黄曉芬. 2003. Han mu de kaoguxue yanjiu 漢墓的考古學研究 (The Archaeological Research about the Han Tombs). Changsha: Yuelu shu she. Li Falin 李发林. 1986. “Luoyang Xihan bihuamu xingxiang tu xintan” 洛陽西漢壁畫墓星象圖新探 (“New Exploration about Stellar Imagery in Western Han Mural Tombs in Luoyang”). Zhongyuan wenwu 中原文物, Special edition: 153–162. Li Hai 李海, and Sun Zhu 孙祝. 1995. “Zhongguo gudai de kongjianguan” 中國古代的空间觀 (“Spatial Concept in Ancient China”). Yanbei shiyuan xuebao 雁北師院學報 3: 84–87. Lian Shaoming 連劭名. 1991. “Changsha Chuboshu yu zhongguo gudai de yuzhoulun” 長沙楚帛書與中國古代的宇宙論 (“Silken Manuscript from Changsha and Chinese Ancient Cosmology”). Wenwu 文物 2: 40–46. Luoyang bowuguan 洛陽博物館. 1985. “Luoyang Jinguyuan Xinmang shiqi bihuamu” 洛陽金谷園新莽時期壁畫墓 (“Luoyang Jinguyuan Mural Tomb from Xin Mang Period”). 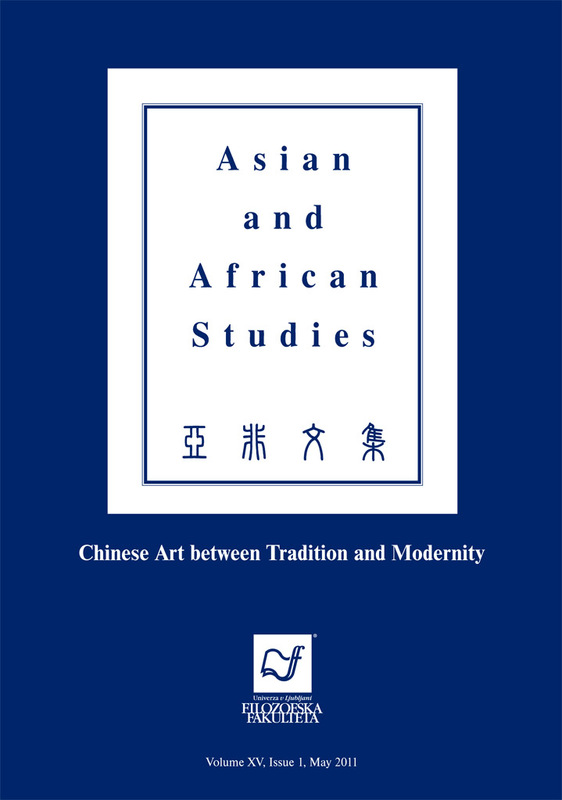 Wenwu cankao ziliao congkan 文物参考資料叢刊 9: 163–173. Luoyangshi di er wenwu gongzuodui 洛陽市第二文物工作隊. 2005. “Luoyang Yintun Xinmang bihuamu” 洛陽尹屯新莽壁畫墓 (“Luoyang Yintun Mural Tomb from Xin Mang Period”). Kaogu xuebao 考古學報 1: 109–126. Lü shi Chunqiu 呂氏春秋 (Master Lü’s Spring and Autumn Annals). 1996. Zhu zi jicheng 諸子集成. Vol 6. Beijing: zhonghua shuju. Major, S. John. 1993. Heaven and Earth in Early Han Thought: Chapters Three, Four, and Five of the Huainanzi. Albany: State University of New York Press. Shaanxi sheng kaogu yanjiusuo 陕西省考古研究所, and Xi’an Jiaotong daxue 西安交通大學. 1991. Xi’an Jiaotong daxue Xihan bihuamu 西安交通大学西漢壁畫墓 (Xi’an Jiaotong University Western Han Mural Tomb). Xi’an: Xi’an jiaotong daxue chuban she. Sima Qian 司馬遷. 2000. Shiji 史記 (Historical Records). Edited by Xiao Feng. Beijing: Yanbian renmin chuban she. Su Jian 苏健. 1984. “Meiguo Boshidun meishuguan cang Luoyang Han mu bihua kaolüe” 美国波士顿美术馆藏洛阳汉墓壁画考略 (“Study of Luoynag Han Mural Painting from the Museum of Fine Arts in Boston”). Zhongyuan wenwu 中原文物 2: 22–25. Vampelj Suhadolnik, Nataša. 2006. “Prostorska in umetnostna zasnova kitajskih cesarskih grobnic dinastije Qin in Han kot odraz kozmološke percepcije in razumevanja sveta.” (“Reflection of the Cosmological Perception and the Understanding of the World through the Arrangement of the Places, Grave Architecture and Art in the Imperial Tombs of the Qin and Han Dynasties”). PhD diss., University of Ljubljana. Wang Jianzhong 王建中. 2001. Handai huaxiangshi tonglun 漢代畫像石通論 (General Discourse on Han Pictorial Stones). Beijing: Zijincheng chuban she. Wang Qingjian 王清建. 1995. “Lun Han hua zhong de xuanwu xingxiang” 論漢畫中的玄武形象 (“Discourse on Black Warrior Image in Han Paintings”). Zhongyuan webu 中原文物 3: 38–39. Wei Na 韋娜, and Li Jubao 李聚寶. 1995. Luoyang gumu bowuguan 洛陽古墓博物館–– Donghan tianxiang shenshou bihuamu 東漢天象神獸壁畫墓 (Eastern Han Mural Tombs with Celestial Images, Deities and Beasts). Zhengzhou: Zhongzhou guji chuban she. Wei Zheng 魏徵. 1996. Suishu 隋書 (History of the Sui Dynasty). Beijing: zhonghua shuju. Wu Hung. 1989. The Wu Liang Shrine: The Ideology of Early Chinese Pictorial Art. Stanford: Stanford University Press. Xia Nai 夏鼐. 1965. “Luoyang Xihan bihuamu zhong de xingxiang tu” 洛陽西漢壁畫墓中的星象圖 (“Stellar Imagery in Western Han Mural Tombs in Luoyang”). In Zhongguo gudai tianwen wenwu lunji 中國古代天文文物論集, 162–180. Beijing: Wenwu chuban she. Xin Lixiang 信立祥. 2000. Handai huaxiangshi zonghe yanjiu 漢代畫像石綜合研究 (A Comprehensive Study of Han Pictorial Stones). Beijing: Wenwu chuban she. Zhou Xiaotian, ed. 1993. Chuci jianshang jicheng 楚辭鑑賞集成 (An Appreciated Collection of Songs of Chu). Taibei: Wunan tushu chuban.